The year is 1916. Following their desperate retreat through the Albanian mountains (See Book 2 Passions of War) the remnants of the Serbian army are holed up in the Greek city of Salonika, their homeland occupied by Austria and Bulgaria. 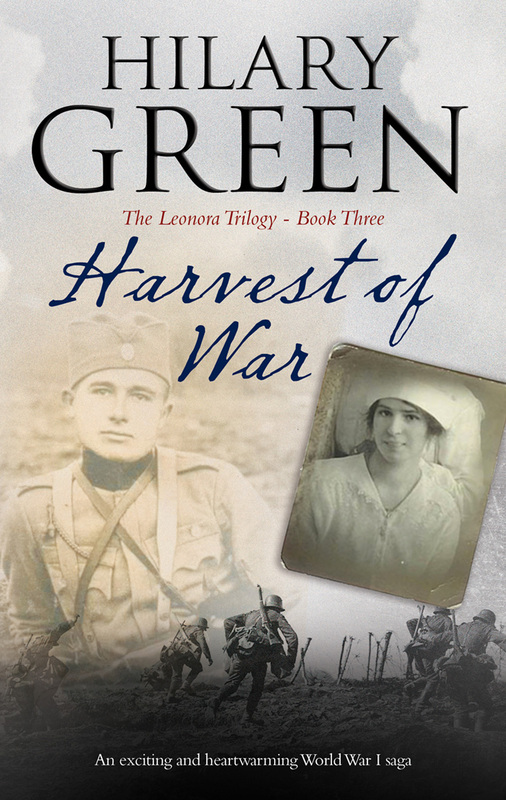 Working as a volunteer for the Red Cross feisty young Englishwoman, Leonora Malham Brown, has secretly become the lover of the dashing Colonel Sasha Malkovic, who has pledged to ask for a divorce once the war is over, so he can be free to marry her. Meanwhile, Leo’s fiance, Tom, is engulfed in the horrors of the Somme, where he discovers a shocking secret about her brother Ralph. And Leo herself is keeping a secret from Sasha. When Sasha discovers the truth he and Leo argue bitterly before he rejoins his troops on the battlefield. before the lovers can be reconciled Leo receives terrible news. Tragedy and heartbreak will follow before she finally has a chance of happiness. Bitola was under constant bombardment from Bulgarian artillery and from German planes. By Christmas there was scarcely a building in the city undamaged and even the hospital had been hit. With snow blocking the mountain passes it was impossible for supplies to get through from the south and rations began to run short. Working twelve hour shifts on inadequate food, Leo’s health began to suffer. Looking at herself in the mirror, on the rare occasions when she had time, she saw a haggard face with hollow cheeks, and stick-like arms and legs protruding from her swollen belly. She began to dread her encounter with Sasha more than ever. Christmas passed, both the western one and the orthodox. Then one evening she was folding sheets in the tiny storeroom when she heard his voice behind her. She put down the sheet she was holding and turned slowly to face him. For a split second she saw the happy anticipation on his face; then it faded to consternation and finally to anger. ‘Since … since just after you left Salonika.’ It was only a small lie. ‘A child born out of wedlock,’ he said. He did not draw back, but neither did he fold her in the embrace she craved. The word struck her like a blow in the face. She drew back and stared at him. He sighed deeply. He gazed at her bleakly. ‘You have been completely irresponsible. You are risking your life, and the child’s. I am afraid I can see very little to rejoice about. I’m sorry, I cannot …cannot …’ He faltered, then turned about and left the room. She called after him but he did not respond. She would have followed him, but her legs gave way under her and she sank down onto the pile of sheets and wept. All the rest of the day she waited, expecting to hear his voice or his footsteps, convinced that when he had time to think he would come back and apologise and comfort her. But he did not come; and the next morning she learned that he had left at dawn to rejoin his troops. There are plenty of well-timed coincidences, misunderstandings, and tragedies leading the saga to its satisfying ending. Starting with the third volume is not recommended; the novels build upon each other very effectively, and knowledge of the characters’ pasts is essential to the enjoyment of Harvest of War.